There are more consumers that don’t speak English than those that do. We wondered the best way for ecommerce merchants to reach those non-English-speaking prospects. Merely translating a website is only part of the challenge. To help us understand all of the issues surrounding language translation of an ecommerce site, we spoke with Swamy Viswanathan, vice president for Language Weaver, a translation company. Practical eCommerce: Should smaller ecommerce merchants invest the time and money to translate their sites into other languages? PEC: Is the main benefit of translating to make it more comfortable for the consumer, versus SEO benefits, for example? PEC: Should a merchant translate a site to another language without also translating the currency? Viswanathan: “It’s really important for people to understand the difference between translation and localization. Currency is one of the factors that go into localization. So, for example, if a retailer decided to start his or her operations by addressing customers in China, then of course the merchant really does need to make sure that the prices are displayed in the local currency of China, but it doesn’t stop there. You do have to make sure that descriptions are such that they are easier for people in China to understand. PEC: Are there specific languages that you would recommend for a North American-based merchant to translate into? ListenListen to the complete audio interview with Swamy Viswanathan. PEC: Do you know whether the speakers of those languages are more or less web savvy or web literate than others? PEC: What parts of an ecommerce site can be machine-translated and what parts should be human-translated (assuming it costs more money for a human-translation than a machine translation)? 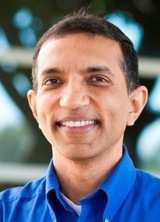 Viswanathan: “Any website has content that you can kind of loosely divide into two parts. There is content where the intent is to convey a nuance that is intended to influence human behavior — advertising copy is a great example — and really does need to be translated by a human. Another piece of content that should always be human-translated is anything that has legal implications. PEC: Is there a rule of thumb for how much money merchants should spend to translate a site? Viswanathan: “Typically, human translation is priced on a per-word basis. So, if you were to look at professional translators capable of conveying nuance and influencing behaviors, depending on the language, the price is going to vary between 10 cents and 25 cents a word. So, it’s not cheap. But on the other hand, if you focus it at those specific parts of the site where you can get sort of the most bang for the buck, like description of a product or advertising copy or the legal document, then that’s a very good use of money. PEC: What else should the merchant consider when translating an ecommerce site into a foreign language? Viswanathan: “Translation should always be viewed in the context of a retailer’s business strategy. The business strategy needs to come first. If the merchant decides to do business in a certain geography, what is his or her business plan for such an activity? It really has to cover everything from import/export licenses to whether the products that he or she is going to sell are actually out or not. PEC: Tell us a little bit about your company, Language Weaver, and what services you provide. Viswanathan: “Language Weaver is based in Los Angeles and it was founded by two professors from University of Southern California. For years and years, automated translation was based on the principle of defining grammar, and that’s how it worked for a long time. Our founders invented the method called ‘statistical translation,’ whereby the system learned by reading other human translations. So, it doesn’t actually need to be taught the grammar of a language, it learns by observation. This forms the core of the products and services we offer.